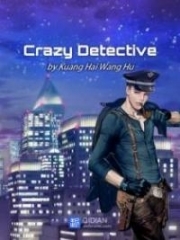 You’re reading novel The Demonic King Chases His Wife: The Rebellious Good-for-Nothing Miss Chapter 936 online at LightNovelFree.com. Please use the follow button to get notification about the latest chapter next time when you visit LightNovelFree.com. Use F11 button to read novel in full-screen(PC only). Drop by anytime you want to read free – fast – latest novel. It’s great if you could leave a comment, share your opinion about the new chapters, new novel with others on the internet. We’ll do our best to bring you the finest, latest novel everyday. Enjoy! "I am called Yun Luo, thank you!" Su Luo clenched her fists tightly, and lifted her foot to immediately leave. Anyway, her appearance had already changed, no matter what she wouldn't admit to it! "Do you know, at this moment, how many people are hunting for the one called Su Luo?" Ouyang Yunqi indifferently looked at her. Su Luo's heart tensed, nevertheless she remained unmoved. "If they knew, that woman right now is in front of me. Don't you feel it will be very interesting?" Ouyang Yunqi raised his eyebrows with a ghost of a smile. Such a smile, in Su Luo's eyes, had a kind of inexpressible sinister feeling. Su Luo's fists suddenly tightened up, her shoulders become somewhat rigid. Didn't expect Ouyang Yunqi actually recognized her, if he leak out this news, the consequences would be too terrible to contemplate. Ouyang Yunqi smiled and held her delicate shoulder: "Come, sit and talk to me for a while." Su Luo really wanted to wash her hands off this and leave, but in facing reality, she, had no choice but to lower her n.o.ble head. On the slope with lush green gra.s.s, the moonlight quietly poured down to the ground, gentle like running water. Su Luo sat down as she wished, asking with a cold face: "In the end, what do you want to do?" Ouyang Yunqi sat down in a place half an arm distance away from Su Luo. This position was not too close nor not far. Too far and the mood would not be enough. Too close and she would feel disgusted. Therefore, Ouyang Yunqi sat in this place and raised his eyes to gaze at the sky. The outline of his sideway leaning face was like finely cut gems, robust and handsome, made people unable to look away after just one glance. He was silent for a long time, only then did he slowly look back at Su Luo, a moving light shone from the depth of his eyes: "Aren't you going to ask me who am I?" Su Luo sneered: "Western Jin's Third Prince Ouyang Yunqi. I still need to ask this?" 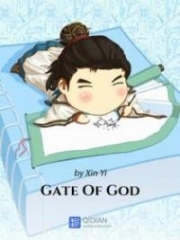 A pained smile streaked across the corner of Ouyang Yunqi's mouth, his gaze once again returned to the sky. The quiet night sky, had a waning moon suspended on it, lonely, empty and hazy, just like Ouyang Yunqi's expression at this moment. "You say, when we cultivate to the pinnacle, can we fly up to the moon?" Ouyang Yunqi smilingly chatted with Su Luo. Su Luo snorted darkly, not paying him any attention. Ouyang Yunqi didn't give up just because of Su Luo's att.i.tude. His smiled was the same as before like a clean spring wind. He lightly sighed: "An astronaut could go to the moon, here, this is somewhat difficult." Su Luo's figure suddenly stiffened! In this different world, how could someone possibly know about astronauts. Also how could they say the moon as a planet? At this moment, Su Luo's heart moved like the overturning seas and rivers, her heart throbbed even more violently. Yun Qi glanced back, slightly raising his eyebrows: "What's the matter with you?" Su Luo gave a m.u.f.fled depressed response: "It's nothing." But how could it truly be nothing? The betrayal from her previous life, the killing still vivid in her mind. How could he have the nerve to feign tenderness in front of her now? Su Luo tightly clenched her fists, desperately endured, so she didn't smash a fist towards that peerlessly handsome face. "Luo Luo, I'm sorry……" Yun Qi, gazed at Su Luo, unblinkingly looked at her, lovingly apologizing. Su Luo suddenly stood up. She was unable to stay here any longer. Otherwise, it would be uglier than this. "Luo Luo——" Ouyang Yunqi called her to a stop, "Where do you want to go? There are countless people chasing to kill you outside." "Ouyang Yunqi, what nonsense are you talking about!" Su Luo glared back at him. Did she admit that she was that Su Luo from Eastern Ling? Why did he maintain through his own wishful thinking that it was her? Su Luo very much loathed that expression of his full of self-confidence certain he had control over the situation. "Su Luo, I know it is you." Yunqi slowly walked over until he was in front of her. 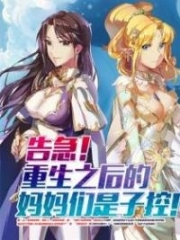 You're reading novel The Demonic King Chases His Wife: The Rebellious Good-for-Nothing Miss Chapter 936 online at LightNovelFree.com. You can use the follow function to bookmark your favorite novel ( Only for registered users ). If you find any errors ( broken links, can't load photos, etc.. ), Please let us know so we can fix it as soon as possible. And when you start a conversation or debate about a certain topic with other people, please do not offend them just because you don't like their opinions. You're reading The Demonic King Chases His Wife: The Rebellious Good-for-Nothing Miss Chapter 936. This novel has been translated by Updating. 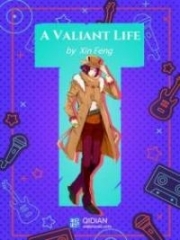 Author: Su Xiao Nuan,苏小暖 already has 10806 views. Current Time is Apr-19-2019 08:29:50 AM.